Visit Reykjavík and experience that vibrant, pure energy so prevalent in our city. Reykjavík is a great place for active families and curious kids. There's fun for all ages to be found in our favourite city! In Iceland, those opposites of light and dark, fire and ice, city and nature, are all part of the experience, while our location between the two great continents of Europe and America creates a unique connection with the rest of the world and the perfect middle ground to meet in. This, together with our easy accessibility, excellent conference facilities and exciting recreational services, makes Reykjavík a great destination for hosting international events and an inspiring place for ideas, imagination and innovation. Compiled below is useful information for planning your business trip to Reykjavík. An increasing number of companies and corporations around the globe, particularly those keen to try something new, are choosing Reykjavík for holding meetings and conferences. 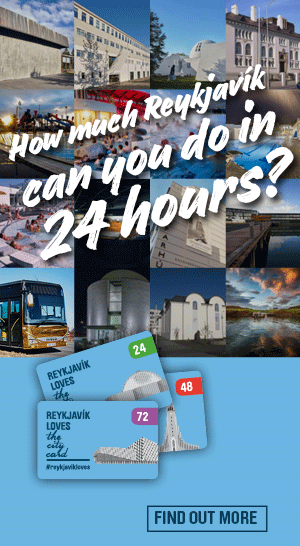 Meet in Reykjavík is the official Convention Bureau for Reykjavik City and provides destination information valuable to planners in the MICE industry. Meet in Reykjavík where creativity and innovation thrive! A thriving and ever-growing film and commercial scene has produced a rich pool of professionals in all areas of film-making, production and event management in Reykjavík. With a well-educated and highly skilled workforce, affordable green energy, and tremendous investment and business accelerator opportunities the city is ripe with opportunity. Study visits are a blend of professional knowledge-building and on-site visits and are composed of a range of seminars on particular themes.